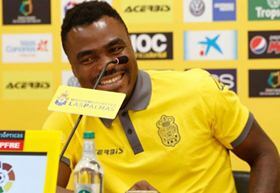 Ex-Super Eagles striker, Emmanuel Emenike has opened up on his failed stint with UD Las Palmas in the Spanish La Liga. The 31-year old who joined the Gran Canaria outfit from Olympiacos during the winter transfer window alongside two of his compatriots, Oghenekaro Etebo and Imoh Ezekiel failed to kick a ball throughout his loan stay, no thanks to fitness issues and persistent injuries. Following the disastrous spell, the 2013 Nations Cup top scorer has broken his silence on the outcome of his move, its consequences as well as thanking the club and everybody associated with it. "To the people of Las Palmas I choose to break my silence at the end of a sad footballing chapter of my life. It has been a disappointing and heart breaking 5 month", he penned on his Instagram handle. ''I arrived with hope of fighting for shirt but unfortunately but the injury sustained while in Spain didn't give me chance to demonstrate the fight for the cause. 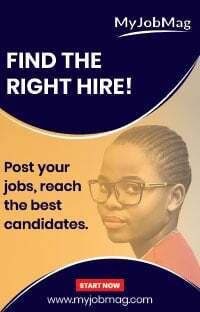 ''During this time fake stories and rumours have been published. In all honesty this is a diversion of failures. I could expand and single people out however this could not help the cause of Las Palmas, they who they are. ''Pushing negativity to one side, I want to thank people of the island. They are always welcoming and looked after me like family. ''In what have been a tough time,they always smiled and supported, I thank you. Their positivity is the comfort of a disastrous time. I thank you for being my Spanish family. ''Las palmas is a beautiful place with lovely people, Las Palmas will be back Adios." Following the expiration of his loan contract with the relegated Spanish club, the striker would have to return to his parent club.